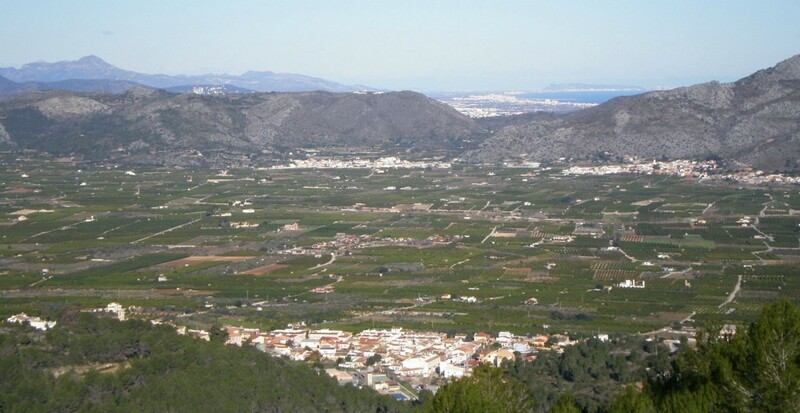 We are based on the Costa Blanca, just outside of the town of Denia, in a village called Benidoleig. We are based on the Costa Blanca, just outside of the town of Denia, in a village called Benidoleig. This is a fantastic area for cycling and mountain biking with many of the world’s top professional cycling teams basing themselves here for their winter training camps. Triathletes can take advantage of the warm Mediterranean sea for their swim training which is only 9km from our accommodation. All our accommodation is within easy access to the motorway network, with direct routes to Alicante and Valencia Airports, both within an hour’s drive. We do offer a limited airport pick up service but please contact us for further information. On leaving the airport get onto the A-7/Ap-7 motorway heading towards Valencia (it is easy to make a mistake here and go towards Murcia; dont do it!) the Valencia motorway branches off to the right within a few kilometres of the airport. Stay on the A-7/AP7(E15) for about 50 minutes. Take exit 62 signed to Denia and Ondara. When you come through the toll gate take the second exit which is signed Ondara and Oliva. This does a circle around and joins the N332. Take the third exit signed to Benidoleig, Ondara, El Verger, Orba. At the Roundabout take the fourth exit the CV731 to Beniarbeig, Benidoleig. Straight on at the next two roundabout to Benidoleig. From here, depending on which accommodation you are staying at, we will send you the coordinates after your booking has been confirmed and paid for in full. On leaving the airport follow the signs for the AP7 to Alicante and Mercia. Stay on the A7/E15 for approximately 1 hour. Take exit 62 signed to Denia and Ondara. When you come through the toll gate take the second exit which is signed Ondara and Oliva. This does a circle around and joins the N332. Take the third exit signed to Ondara, El Verger, Orba. At the Roundabout take the fourth exit the CV731 to Beniarbeig, Benidoleig.Straight on at the next two roundabout to Benidoleig. From here, depending on which accommodation you are staying at, we will send you the coordinates after your booking has been confirmed and paid for in full.